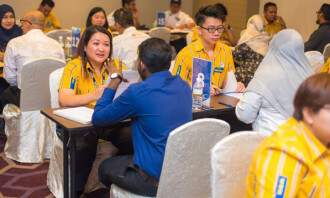 In recent years, more firms have been using career development as a form of alternative reward, but exactly how much value do Singaporean youths place on a successful career? 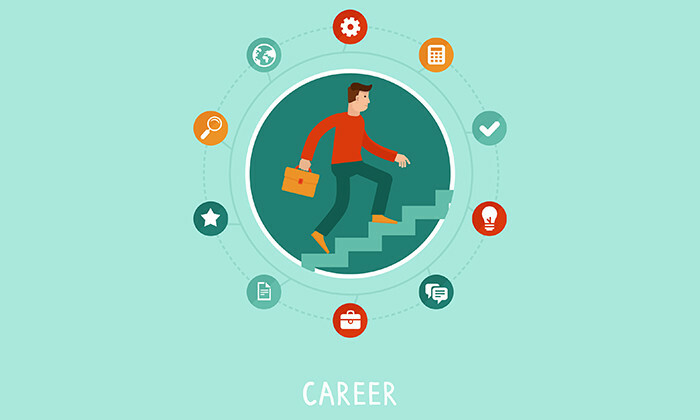 According to the 2016 National Youth Survey (NYS) by the National Youth Council, having a successful career is among the top five life goals that are very important to youths. Canvassing responses from 3,531 youth aged 15-34, the NYS found that the top five life goals of youth include having a place of their own (70%), maintaining strong family relationships (70%), acquiring new skills and knowledge (62%), having a successful career (59%), and earning lots of money (46%). Unfortunately, these youths are not entirely confident there are sufficient opportunities in Singapore to fulfill their aspirations. On a scale of one (strongly disagree) to five (strongly agree), when it comes to having enough opportunities in Singapore to achieve their personal aspiration, the average rating was only 3.28. Similarly, when it comes to having enough opportunities in Singapore to have a good career, the average rating from youths was only 3.37. 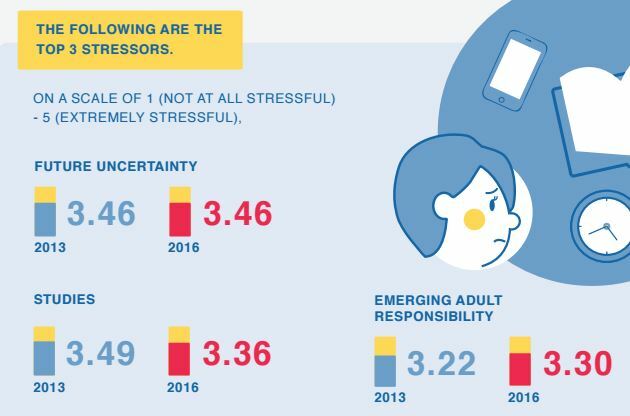 The survey also found that today’s youths were the most stressed about future uncertainty, rating it at 3.46 on a scale of one (not stressful at all) to five (extremely stressful). 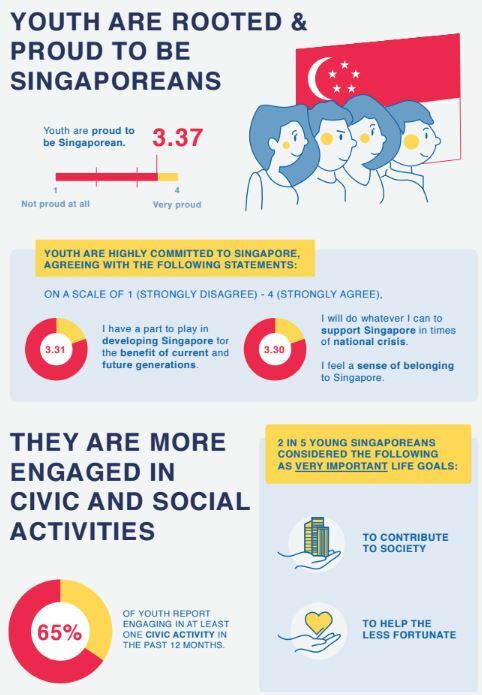 The NYS also revealed that Singaporean youths today have increasingly diverse, with more reporting close friends from different religions (80% in 2016, same as in 2013), races (60% in 2016, up from 53% in 2013), and nationalities (45% in 2016, up from 42% in 2013). 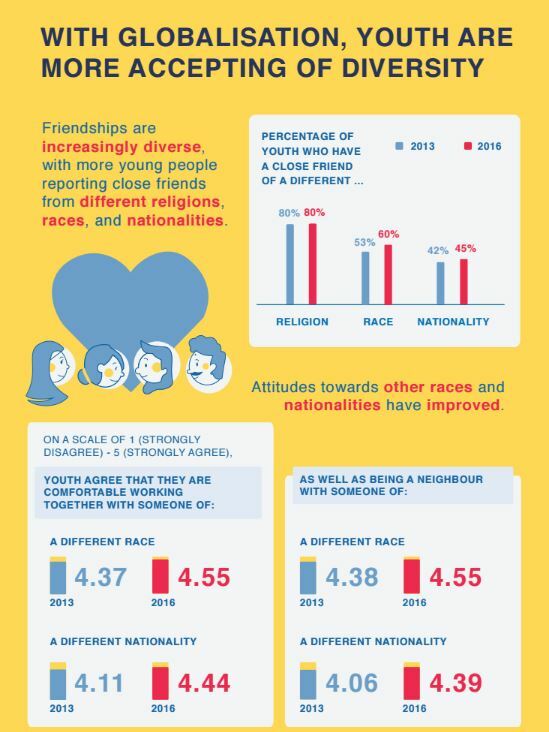 Singaporean youth are also more comfortable working with, and being a neighbour of, someone of a different race and nationality. On a scale of one (strongly disagree) to five (strongly agree), being comfortable working with someone of a different race was rated 4.55; and being comfortable working with someone of a different nationality was rated 4.44. 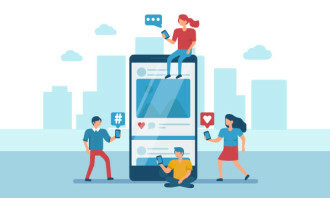 Additionally, the NYS found that the workplace (22%) was among the top five social groups young Singaporeans are involved in – only second to sports related social groups (27%). 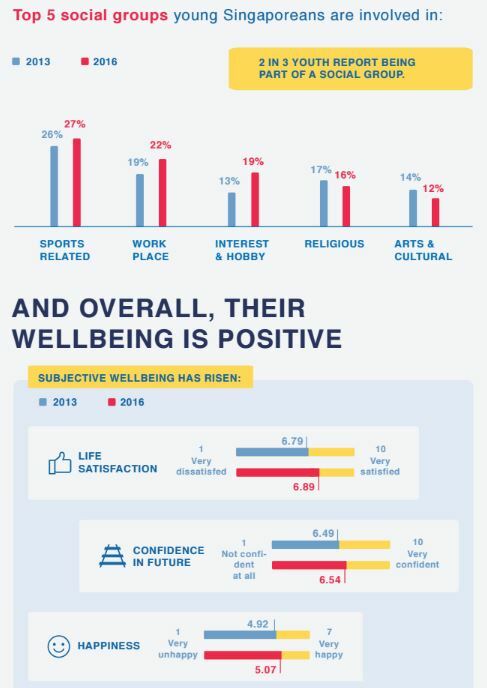 At the same time, the survey revealed that their overall subjective wellbeing has risen. On a scale of one (very dissatisfied) to 10 (very satisfied), youth rated their life satisfaction at 6.89, confidence in future at 6.54, and happiness at 5.07. 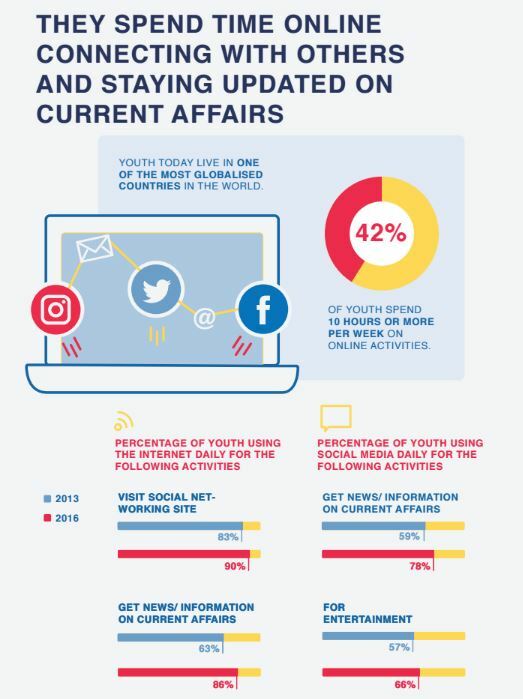 The survey also found how youths use the internet and how rooted they were as Singaporeans.